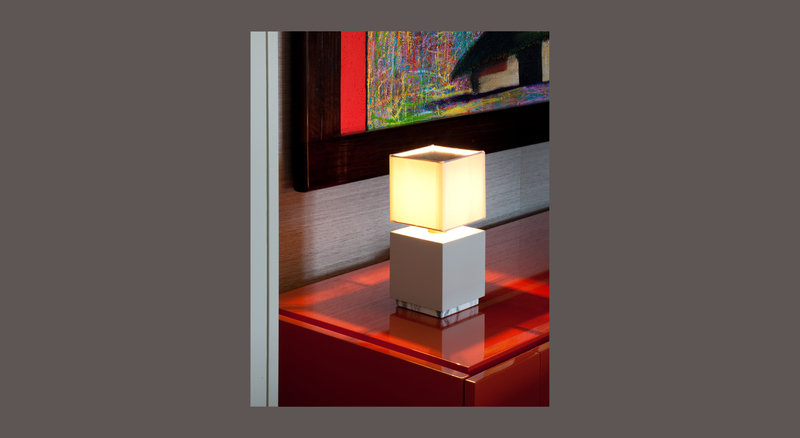 The smallest of the range is Tilley, an elegant lamp that is perfect for bedside and side tables. 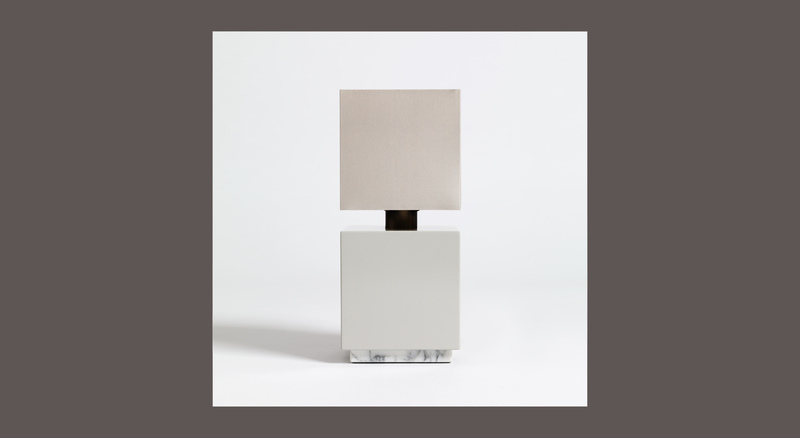 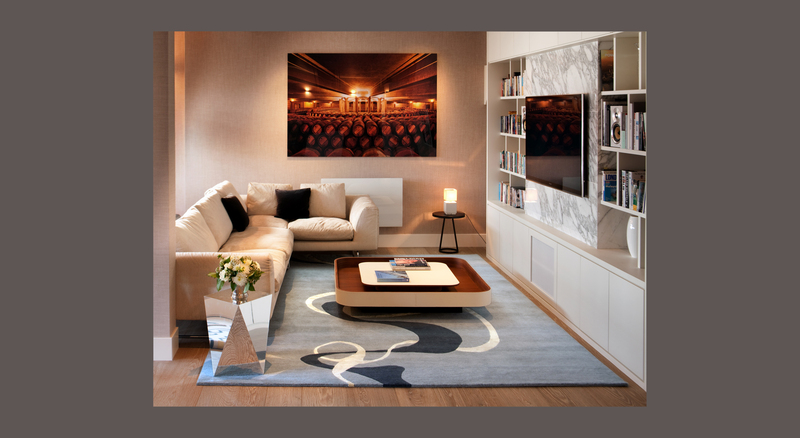 Its shape consists of two boxed squares; the lower, in lacquer, rests on a marble base; the upper – a box of floating light that has a brass square plate which hides the light source. 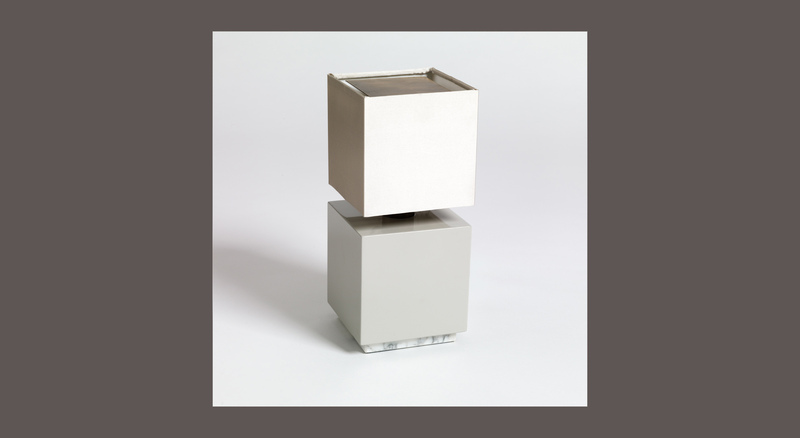 This lamp creates beautiful shadowing through the gaps between the boxes and the plate.